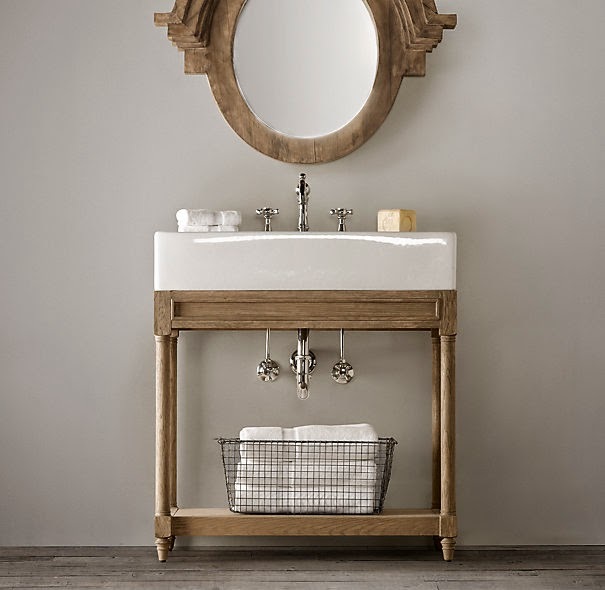 Restoration Hardware is famous for it's weathered wood surfaces. 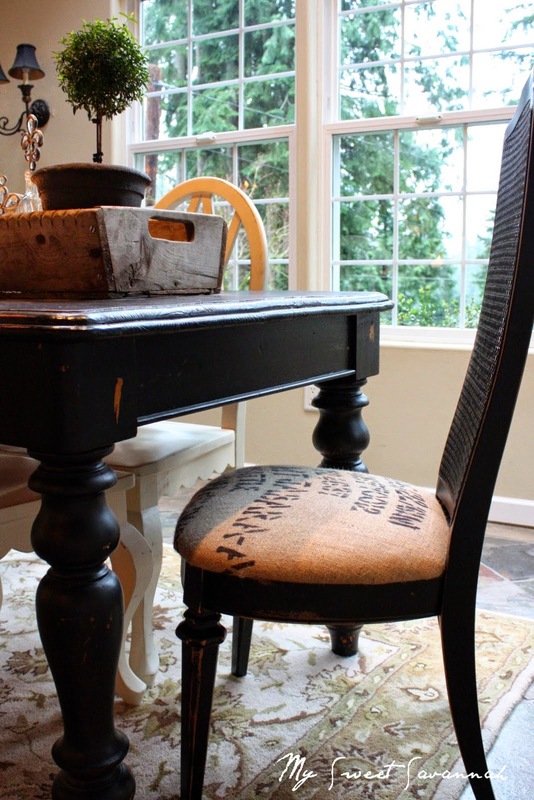 Years ago I set out to create this look on our dining room table, which was painted black. It was actually a super simple process, so I thought I'd share with you how I did it. The first thing I did was sand all the black off. I could've used a paint stripper, but it was the middle of winter and I didn't want the fumes. Besides that I always work on impulse, and sandpaper and a palm sander was all I had on hand. I didn't worry too much about getting in all the nooks and crannies. When that was all sanded I lived with it like this for a while. Then when I couldn't stand the orangey color anymore, I headed to Home Depot and got some weathered gray stain. I used a cheap foam brush and a rag to apply the stain and then wipe off, until I got the color I was hoping for. The result was just what I was looking for. For not much money and minimal work, it made a huge difference. LOVE THIS!! 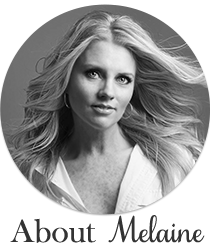 Really gorgeous, Melaine. And I'm in love with all the green accents, too. I think you read my mind! LOVE LOVE LOVE LOVE! this is my next project! 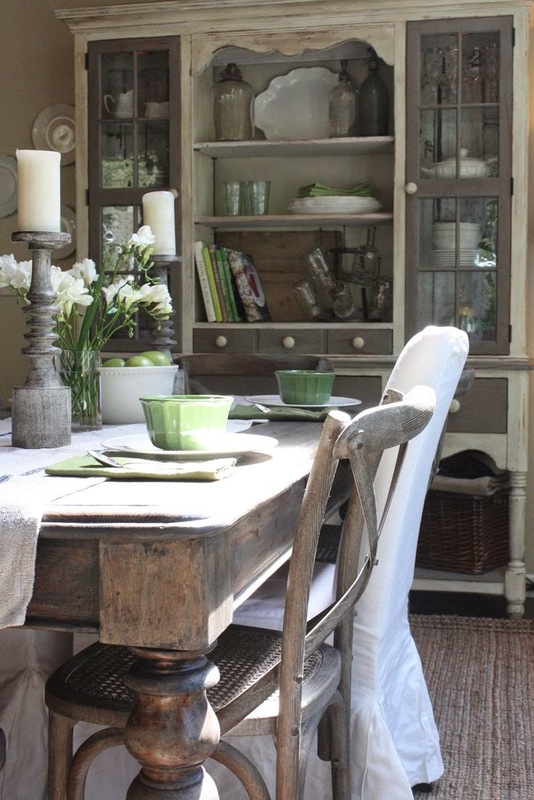 i used the weathered gray on the table in my eating area and every day it makes me happy! i am DYING to sand my farmhouse table because it IS the orangey color...and shiny! Yuck! did you palm sander not make a ton of dust inside the house? it looks so great! Love that look! Did you also use the sander on the legs of the table or just with paper by hand? I took a peek and I think if u used Annie Sloan chalk paint maybe in old white on the top, the contrast would be beautiful! It would go ovee laminate perfectly! Just don't forget to follow up with the wax! Good luck ! Love it! Did you also use the grey on the top as well? Your table makeover looks outstanding!!! Thank you for sharing this gray stain...gotta get me some. Fabulous makeover! Good job, love your candle light. Really pretty! Such an informative "keeper" post. I think we all have a few orangey pieces we could do without. Gray stain to the rescue. 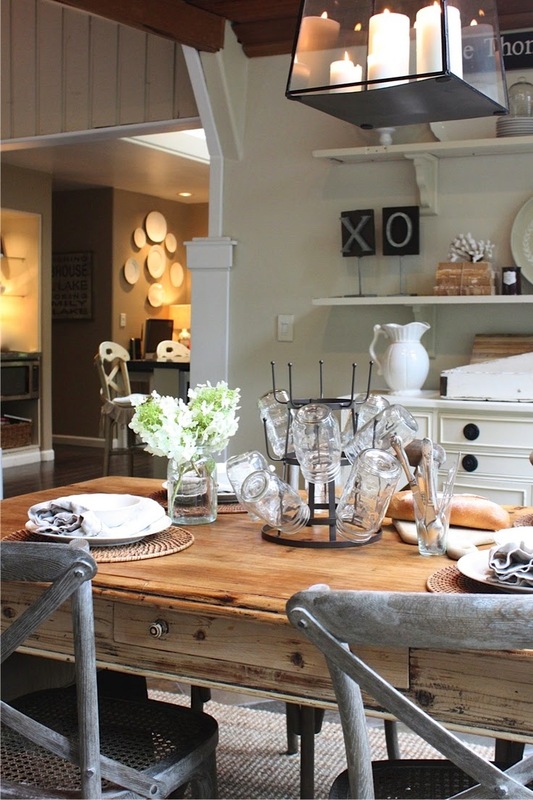 Love the table and that wonderful wall hutch! The whole dining room is fabulous. What flooring do you have in there and liv rm? Love this, looks fabulous. I'm still working on that beast of a farm table I scored and shared with you. I might have to strip it and do something like this. Great look and easy. Did you seal it? Seems like some protective coating would be needed if the table gets regular use. Do you think this would work on wicker? And, would I just put it on top of the faded brown? If not, does anyone know if a product that would give me that look? Inspiration for sure! This is sooo popular right now and looks fabulous. The china cabinet is awesome too! Love that you have open space. I love, love, LOVE this! 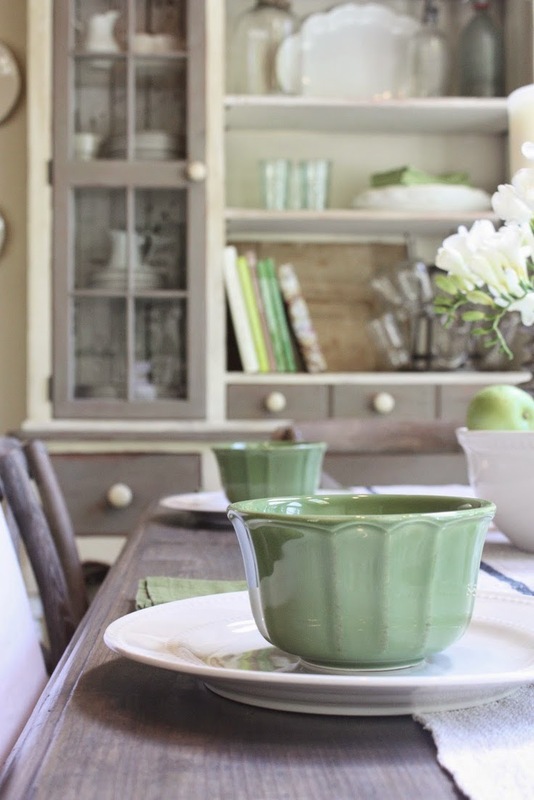 The pops of green in your dining make me think of Spring and I love that too! Thank you for the instructions on achieving this look. I have a table in my kitchen nook that is longing for a do-over! Love this-did you not have to put a protective coat on it? I'm stripping a dining table and trying to decide on a finish. I'm wondering about sealing it as well? Does the rubbed in Varathane do the trick or would you put polycrylic on top? 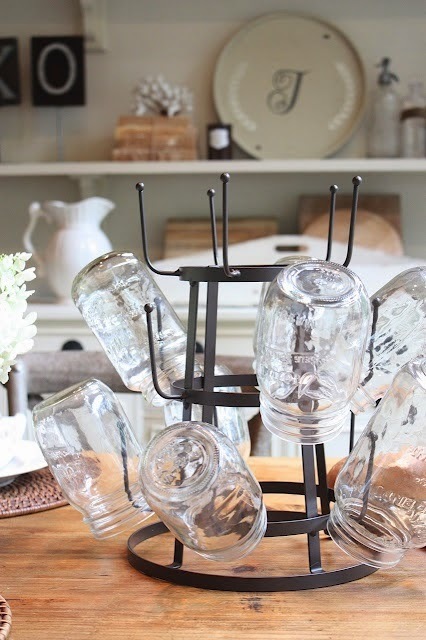 Love your post and ideas you have shared.These are so creative and nice to decorate your home. Lovely!! 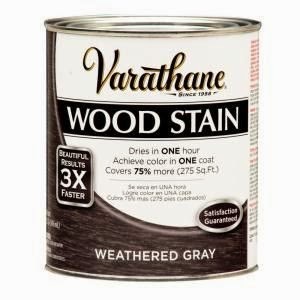 I have a *shiny / laminate top* Thomasville like dinner table with 3 leaves... could I use this stain product on top after sanding? Thank you! That’s just amazing. You really had vision on this one! Really great job! Thank you for your good contribution. I have learned a lot. I have read your post. great review. Most informative. This is such a useful tool for writing. It helps me with my story writing. Thanks for sharing your tips. You are so dextrous to do that. I'm not good at painting. I found a lot of useful information here. I am so thankful for this information. I wanted to paint some laminated pieces but wanted to make sure it wouldn't peel and looked professional. I actually wanted a color similar to what you used so now I feel really confident taking on this project and hope my finished product looks as good as yours. Look nice and rustic! My wife extremely likes this space. Thanks your share! I will try doing the same one! It does look good. I would never have thought the process was so efficient. In the event that you have a bit of furniture which you need to transform into a piece with a pain wood impact, then you can take after these progressions here. Rather than purchasing an antique which is an exceptionally old bit of furniture which may have indications of breaks and have issues with losing usefulness, you can make a bothered look yourself. Look so great. Very helpful for me. People have known for centuries that when they burned wood with a torch, the wood suddenly became more resistant to weather when used outdoors.